Jeff Horn and his team are more than happy with the recent news that the WBO will officially re-score the July 2 Manny Pacquiao fight that saw Horn take the WBO welterweight title via a somewhat controversially received unanimous decision. The WBO will take a second look at the fight, but the organisation has made it clear they will not look to change the result: Horn WU12 Pacquiao will stand. But while Horn and his team have no objections to the re-scoring process, they DO have a strong objection towards ESPN commentator Teddy Atlas. Dean Longergan, Horn’s promoter, feels Atlas is the cause of most of the controversy the decision has generated. As fans know, Atlas called the fight in Brisbane and he basically went nuts after the cards were handed in. Atlas insisted, and still insists, the judges got it wrong – even telling Horn, live on air, that he felt he had lost the fight. If there is to be a return fight, and if ESPN once again televise, Lonergan will do everything in his power to prevent Atlas from calling the bout. Strong words indeed, and Atlas is sure to have something to say about them if and when he hears or reads them. 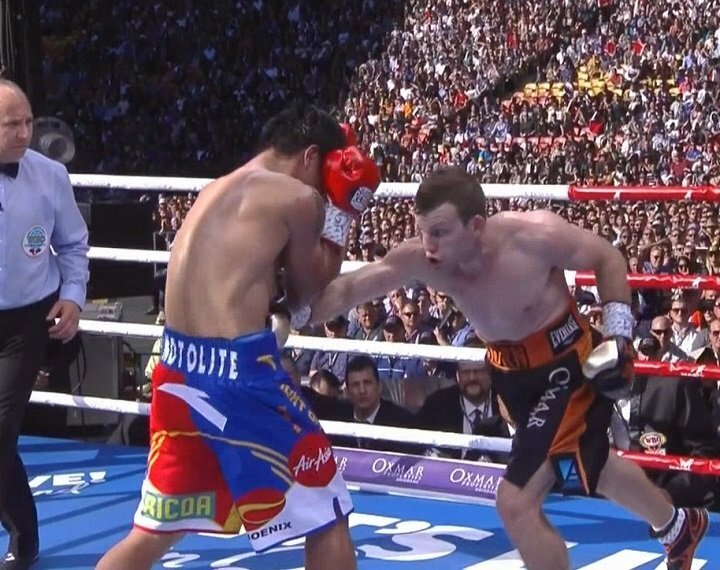 In all fairness, did not Atlas merely and simply do his job – call the fight between Horn and Pac Man as he saw it? Freedom of opinion, anyone? In any case Pacquiao may not want the rematch. There are plenty of voices in the all time great’s ear right now, telling him to retire. Manny may well listen. As for the WBO re-scoring; will it be something of a moral victory for Pacquiao if the news scores have him winning the fight? Would this scenario also vindicate Atlas; even in the eyes of Lonergan?